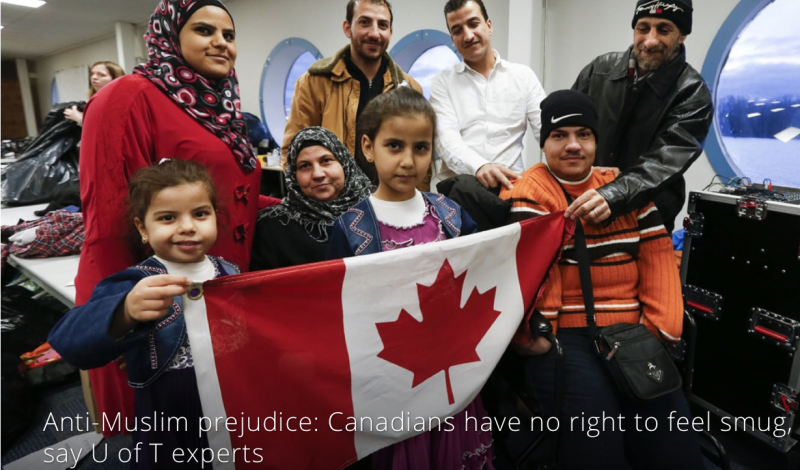 Guess from which countries asylum seekers are getting ‘fast-tracked’ into Canada? 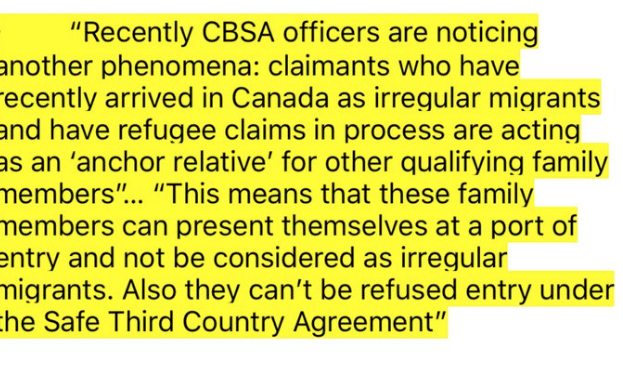 Overwhelmed by asylum claims from irregular illegal migrants crossing the U.S. border, the Canadian Immigration and Refugee Board is fast-tracking “less complex” cases from selected countries, by reviewing evidence WITHOUT a full hearing. Over 26,000 illegal alien migrant wannabes have crossed over the US border into Canada between 2017 and 2018, and only 1% have been removed. 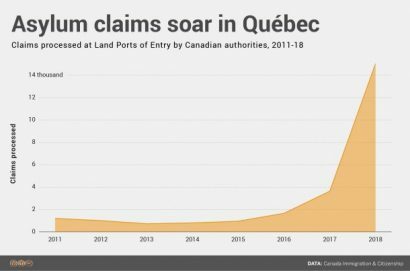 Many of the claims are from asylum seekers who came through the U.S.-Canada border since late 2015 after U.S. President Donald Trump came into the office with a mandate to crack down on illegal migrants. Canada will go broke, like France and Sweden before them. Truedope needs to go by any means possible; I wouldn’t shed any tears if he were assassinated. BTW, calling these illegal invaders “irregular” is one of the most outrageous misuses of a word I have ever seen. There was some debate over this in my online editor group, where most of my edibuddies are Canadian. Lovely people, but all of them supporting the term. I backed out of the debate very quickly because these people are my friends and I attend yearly conferences with them, but REALLY??? No wonder Canada is sinking into quicksand. Agree100%. I would be throwing the biggest party ever! I am an old stock Canadian woman almost 70, and have never seen my great country disappear so fast. I really think we need a Trump like leader! Designate all 3rd world Central American illegal aliens as Ahmadi and send them to Canada to compete with 4th world illegal alien islamists. Yeah, you do that. In the meantime, we want you to wait for your Twitter buddy, Donald Trump, to start working on the wall he’s been promising for the past two years. It could happen any time now. Ha,ha,ha,ha,ha,ha,ha,ha,ha,ha,ha! Yes, sir, very soon Trump is going to build a REAL wall . . . after all, he said so himself. Ha,ha,ha,ha,ha,ha,ha,ha,ha! Canada is turning into garbage thanks to Islam-pandering PM Trudeau and his collection of affirmative-action Freaks. Living in Toronto, I’m shocked at the increasing number of Muslims being poured into it — every day more and more of them are visible ,especially younger, able-bodied Muzz males ( with their skinny animal-like legs ) infesting the city with their arrogance. 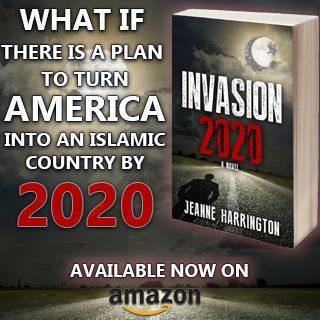 If no drastic action is taken by patriots to save Toronto ( and the country) , the city’s future is almost certain to be an Islamic one with sharia law being enforced by a Muslim mayor and his handpicked Muslim Police Chief. . ..
Canadians need to wake up in a hurry and get rid of traitor Trudeau and his gang of willing collaborators — get rid of them NOW! (shiny pony) Turdeau is a traitor to the people and nation of CANADA. Trudeau isn’t a true leader, he’s a cheerleader who loves to virtue signal and support his people, the muslims. Media has been bought at the tune of $600 million new money, $1 billion plus old money for the CBC to cover up the muslim crimes. Canadians are being kept in the dark, the progressive agenda, turn Canada into a 3rd world nation. This is made worse by potential new draconian gun control laws. 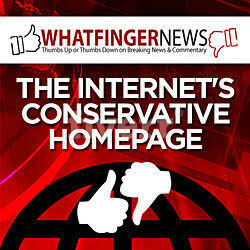 Canadians have got to dump the liberals this year, it’ll be harder with new media controls. Anything Trudeau doesn’t like on the news, `fake news’, even when its true. Progressives hate the truth, so truth is banned with hate. TRAITOR Trudeau and his Muslim Minister of Immigration will be WILDLY CELEBRATING and LAUGHING — Large numbers of First Nation indigenous natives and large numbers of other Canadians live HOMELESS and HUNGRY on the streets. The homes and welfare urgently needed by our desperate First Nation indigenous natives and other desperate Canadians continue to be given away to Muslims who are given PERMANENT WELFARE. 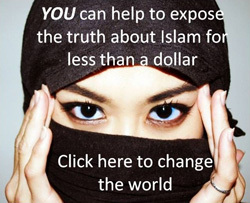 JIZYA — NON-Muslims are immorally forced to be TAXPAYER SLAVES for Muslims in our CHRISTIAN nations. 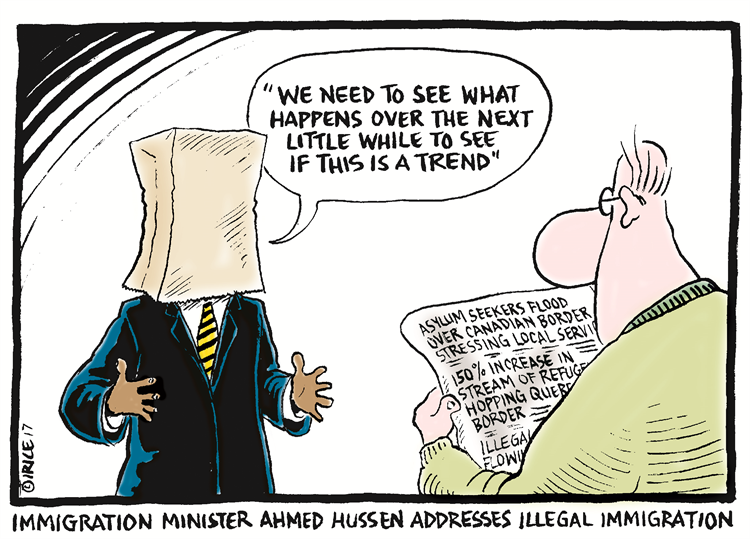 Under NO circumstances can Muslims who seek to enter NON-Muslim countries ever be called ‘refugees’ or asylum seekers. The BLOODTHIRSTY Quran commands Muslims to perpetrate Savage Slaughters and SATANIC ATROCITIES on Non-Muslims for the sole reason the innocents are non-Muslims. The Muslim god is the complete opposite of the HOLY ONE, our WONDERFUL, PRECIOUS CREATOR who is PURE, HOLY and Absolutely GOOD. 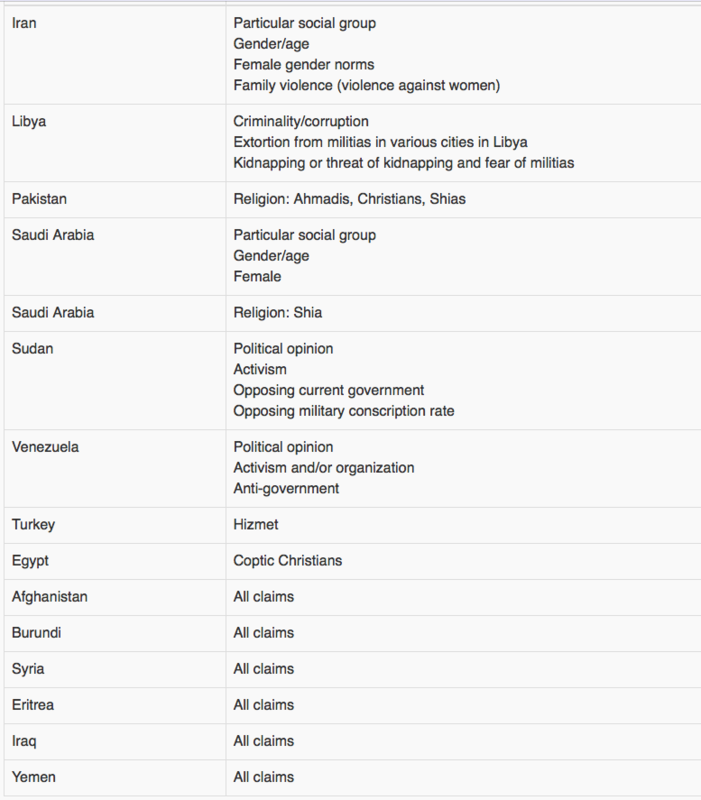 Nations’ leaders who have imported Muslims into their nations will face the WRATH of an ANGRY GOD on Judgment Day. Good news for the jihadis. I’d almost think Turdeau is doing this on purpose to spite Trump & his Muslum ban. Yes, he is. He mentioned Trump’s Muslim ban in the past. Well I can imagine with Justin “muslim lover” Trudeau in charge it will be wait for it…. muslims. 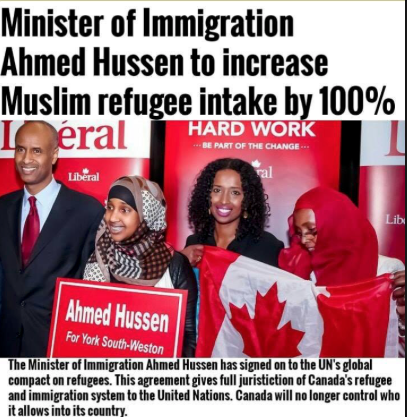 Trudeau receives personal benefit to allow the invasion of Canada. He is nothing short of a traitor. Another meeting with Soros? Aga Khan is Soros’ patron. He makes little $$$ deposits into Soros’ offshore, untraceable bank accounts. This is how Soros paid for the human trafficking flotillas that were instrumental in the invasion of Europe. His “philanthropies” and “activist orgs” are tax exempt frauds designed to disguise the bidding of his clients. Soros doesn’t care about the refugees. Soros cares about his cut, his power, and the massive wall he has around his $$$ home on the beach in South Hampton.